What Can an ECN Broker do for You? Because many stock exchange trades can now take place online without the aid or use of a broker, many people think that any form of trading is the same. In fact, many people do not recognize the vast differences between share trading and any other form of trading. With Forex trading for example, it is impossible to trade without a broker, and there are many reasons why this is the case. The main reason though is that whilst stocks can only be traded though the stock exchange and only for prices set by the exchange – dependent upon a number of factors, the Forex market is unregulated, meaning that deals take place over the counter between two parties. 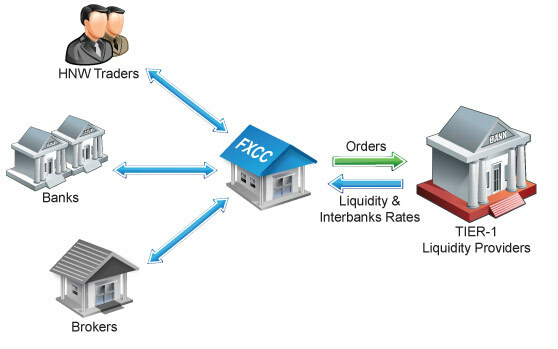 Because there is no central network to Forex trading, a broker is required in order to facilitate a transaction. Many of these transactions are facilitated through ECN. Many Forex brokers offer ECN as their primary trading method and this offers traders a number of advantages. As with the stock market, there are two parties in any Forex transaction. The first is the trader who could be anyone from a multi-millionaire to a “normal” person with only a very small amount to invest. The second party is made up of financial institutions, which form part of the interbank market. The problem for the smaller traders is that they simply don’t have the buying power or the connections with which to trade with the interbank market. However, this doesn’t mean that they can’t be involved – simply that their deals need to be facilitated. Market makers set the bidding and asking price on their systems and then display them for their traders to take advantage of. These transactions can then be processed at these prices but offer little in the way of variations. However, what they do is bring liquidity into the market, and therefore their role is essential. An ECN Broker is one who takes a bid from their trader client and then passes it onto the institution in question. Should the institution then accept the bid, they ensure that the transaction runs as it should, acting as a relay between trader and institution. Working with an ECN broker gives a trader a number of advantages but many prefer using them to market makers as with ECN it is the trader who has the control. Because the broker has nothing to do with setting the price, they cannot profit from the price, low or high. In addition, it is possible within ECN to get better asking or bidding prices because those prices come from a variety of sources rather than from one institution. In summary, just as the success of a trade might depend upon the actual trader involved, the role of broker cannot be undersold and a poor broker has the potential to change the outcome of any transaction in a negative way.